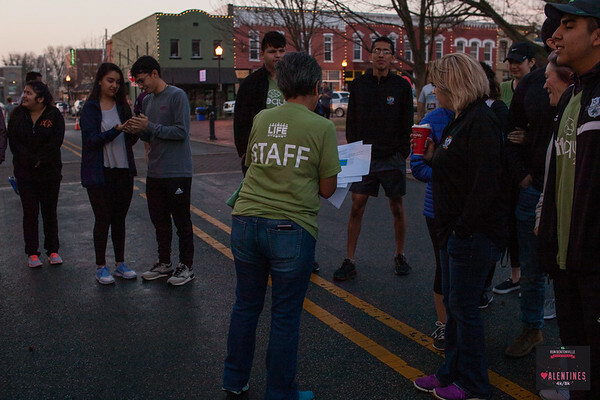 Runners gathered with their valentines to push hard against the blustery and unseasonably warm February morning for Bentonville's Valentines 2k/4k, Saturday. Photos for this race have been paid for courtesy of Bentonville Parks and Recreation. Race participants are granted permission to make any and all prints and to post online as wanted for personal use only. This authorization pertains to and only to the images that begin with the numbers Valentines 4k/8k 0001. The Bentonville Race series kicked off its first race of the 2017 as runners gathered with their valentines to push hard against the blustery and unseasonably warm February morning for the Valentines 4k/8k, Saturday.